* Two different sleeve editions: thick cardboard with half-oval cut-out at top on back side; Thinner cardboard with glossier sleeve and and no cut-out at top on back. 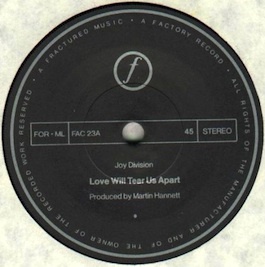 ** Also referred to as Love Will Tear Us Apart (Again). Notes: 33rpm B-side on original 7" release.